The As Seen On TV Seal of Approval is the U.S. Government's highest consumer ranking indicator, as administered by the United States Department of Quality Consumer Purchases, run by Ralph Nader. 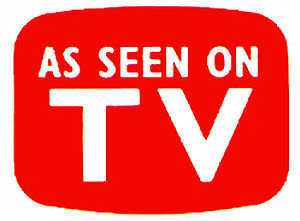 Any product carrying this seal has been featured on a television infomercial and is therefore of the highest quality. The department also informs citizens that any product not seen on TV, therefore not carrying the seal, is of poor quality and shouldn't be purchased. Those that do are more than likely terrorists, and will be placed on a list. It should be noted that this list will probably be ingnored until Cat Stevens attempts to buy a salad shooter on QVC at 3 AM. 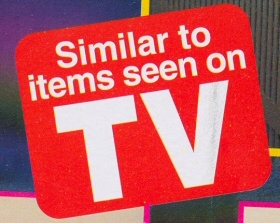 The seal was first administered in 1988 when a government study determined that not enough Americans were purchasing items off of TV informercials, and instead were buying their goods from outdated "stores." This disturbing trend, it was noted, posed a severe threat to the economy. This was on the heels of the famous Plastic Trends Effect on World Economy report which indicated that a decrease in "Baby On Board" car signs could possibly lead to a stock market crash not seen since the late 1920s. Due to free market restrictions, stores in the United States, pursuant to individual state laws, are not actually required to stock only items with this seal. However, as good and patriotic citizens, the Department states, it is your duty to notify proper authorities if you witness anyone purchasing consumer goods not carrying the seal. Citizens who do not, it is noted, may be assisting Osama bin Laden in his War on Freedom. If you have found yourself accidently purchasing an item not carrying this seal, you are advised to report, with said item in hand, to your local DQCP headquarters for item confiscation and personal behaviorial reprogramming ( it only stings for a second ). In keeping with the times, the following government consumer seals are to be announced soon. As Seen On The Internet - only applied to consumer goods advertised on Officially Sanction Government websites. 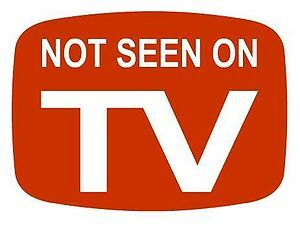 Not Yet Seen On TV (But Informercial Is In Production) - all items with this seal must be returned if infomercial is not aired within six months. As Seen On Advertisements Airing on Fox News Channel - similar to As Seen On TV, with the added benefit of a free signed photograph of Sean Hannity with each purchase. 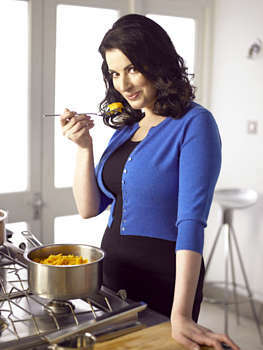 As Seen On Oprah - because, really, who's going to piss her off? This page was last edited on 18 February 2014, at 23:51.